Stuart Maconie on the history of modern Britain in 50 records. How a diminutive Aussie soap star went from actress to diva and reinvented the era of bubblegum pop. Until the beginning of the 1960s, pop stars sang songs written by people crammed into little offices and cubicles in places like the Brill Building or Tin Pan Alley, daily churning out pop nuggets. But The Beatles changed things almost overnight. Bands now wanted to write their own songs, especially when the basics of publishing and royalties had been explained to them. So bands like the Stones, The Troggs, Them, The Beach Boys or The Kinks were self-contained hit-making machines and were 'credible' by simple virtue of the fact that they wrote their own stuff. Yet songwriters like Carole King, Gerry Goffin, Hal David, Burt Bacharach and Lamont-Dozier-Holland continued to toil away, honing their craft and pitching songs to well-known acts. Despite the Fab Four there were still bands like The Monkees: contrived, made-for-TV boy bands, singing other's songs and not even playing on their own records. But by 1967 even they decided to rebel; wanting to be taken seriously as artists - writing, singing and playing their own songs. The man behind them, Don Kirschner, instead dreamt up a manufactured group over which he could have total control - the cartoon band The Archies (30 years ahead of the ground-breaking Gorillaz). By the end of the '60s while Hendrix, The Doors, Led Zeppelin and The Who challenged the notion of what rock was, bubblegum pop still dominated the charts, with hits like The Lemon Pipers' Green Tambourine, 1910 Fruitgum Company's Simon Says and The Ohio Express' Yummy Yummy Yummy. Even the proggy, pomp-rock '70s had teen-friendly producers like Mickie Most or Chinn/Chapman. But following punk, new wave, indie and electro, teen pop music was in a lull: until an Australian child actress changed all that. Before being a pop diva, Kylie Minogue was a soap star in Neighbours. Her first hit - a cover of The Loco-Motion - spent seven weeks at number one on the Australian chart, becoming the highest-selling single of the decade. This led to a contract with songwriters and producers Stock, Aitken & Waterman. Legend has it that they completely forgot a meeting they'd arranged with Kylie and quickly wrote I Should Be So Lucky while she sat waiting outside the studio. But it was a dream team: debut album, Kylie (1988), and the single I Should Be So Lucky both reached number one in the UK, and over the next two years they were a hit-making machine. 13 of her singles reached the British top ten. Since Kylie there's been no let-up. 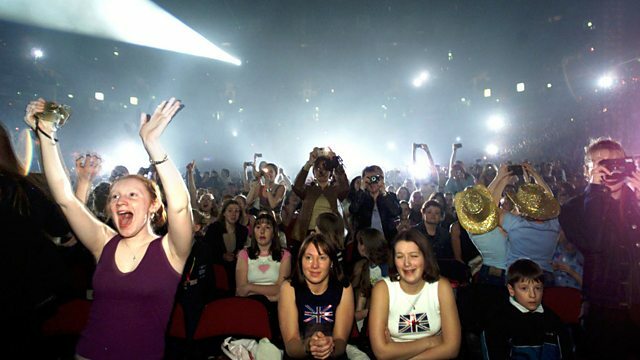 Throughout the '80s and '90s there's been a slew of boy bands, girl groups and TV spin-offs, like Robson and Jerome in the UK or the Disney-reared holy trinity of Britney Spears, Christina Aguilera and Justin Timberlake. All were the creation of pop svengalis and all have released brilliantly-realized, bubblegum pop. Britneys' 1998 single ...Baby One More Time sold more than nine million copies (in no small part due to that video): a fact which no doubt helped Kylie's resurgence as a recording artist in the late '90s. Were you a huge Kylie fan back in the late ‘80s? Do you love or hate manufactured pop music... and why? Should good pop music just be something fun that you can dance to? Were you a fan of The Monkees?